The old Mosterton School opened in 1876. Our present school opened in 1975. 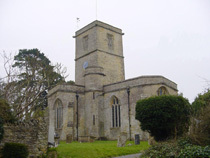 The three villages of Mosterton, South Perrott and Chedington lie in the north-westerly corner of Dorset, on the Somerset boundary. The County Town of Dorchester is about half an hour’s drive away, Beaminster is three miles to the south and the coast is a further six miles. The nearest mainline railway station is two miles away at Crewkerne. Mosterton is a thriving village with a population of about 620. It is set in lovely, undulating countryside. It has a Post Office a store, a Church, an Inn and a Village Hall where the local pre-school meets. South Perrott is a pretty village with many listed buildings. It lies in the valley of the River Parrett, along which runs the Parrett Trail and has a population of approximately 220. The village has a Village Hall, an Inn and a Church. Chedington is an old estate village perched on the hillside and has a population of approximately 110. The village has a Village Hall and Inn. Both the Parrett and Axe rivers, after which the school is named, have their sources in this village. All three villages are thriving communities and very supportive of all the School’s activities. Some of our children also come from outside this catchment area. A school bus, provided by Dorset County Council, services the villages of South Perrott and Chedington. Further details are available from Dorset County Council.